Who's Zed? Zed is dead, baby.. Though lucky for you Zed Handlebars aren't. Zeds classic chopper styling look great on Harley-Davidson Sportsters, 48, Superlow, Hugger, Nightster, and Yamaha Bolt as well as other make and model motorcycles with a narrow composure. 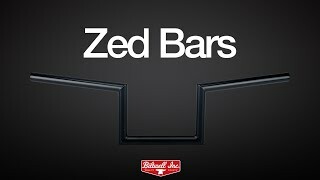 Perfect Z bars, unreal service from Lowbrow as always! 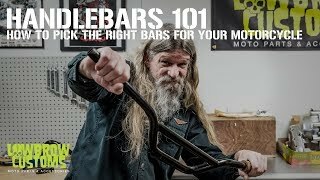 Very well built handlebars. Comfortable and look awesome!! Fast a$$ shipping as well. Very satisfied and will definitely be making more purchases. These look bitchin on my chop!! handle bars fit great and they look cool. Great set of handlebars. Nothing beats these.